Southern side of the Yubatake. 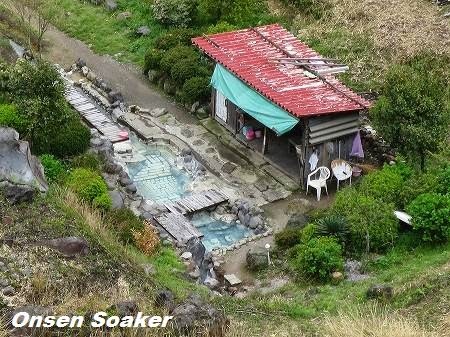 Onsen is gushing from the bottom. 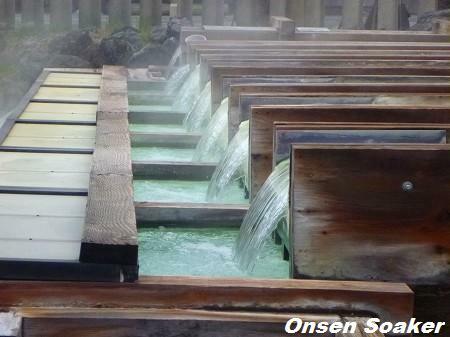 Wooden devices of upper pond is to cool down the hot springs and to collect sulfur powder. 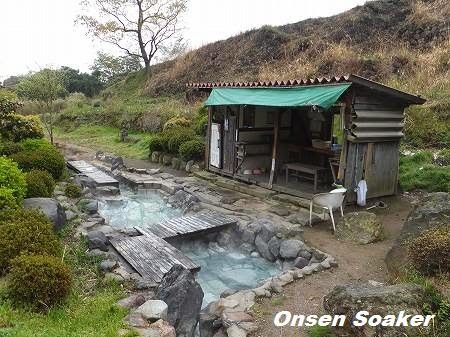 Ever heard of the Kusatsu Onsen in Gunma Pref, Kanto Region? 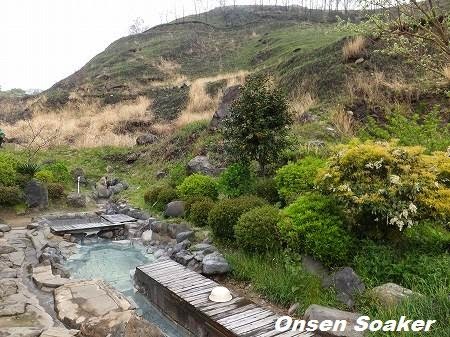 Well, Kusatsu has been chosen "the most popular hot springs in Japan" for 10 years continuously by the survey conducted by the Kanko Keizai Shimbun or the Sightseeing Economic Journal. North end of the Yubatake. 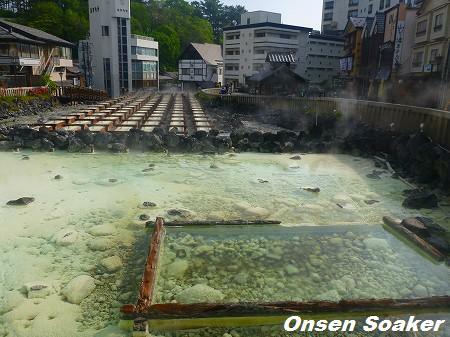 There is a huge hot spring pond named "Yubatake" located center of the Kusatsu Onsen. Strong acid onsen - pH about 2.0 is gushing about 4,600 litters per minute in this pond. The temperature at the fountainhead is about 60 degrees Celsius. Of course it's not for soaking. The whole Yubatake view from the Kosenji Temple. 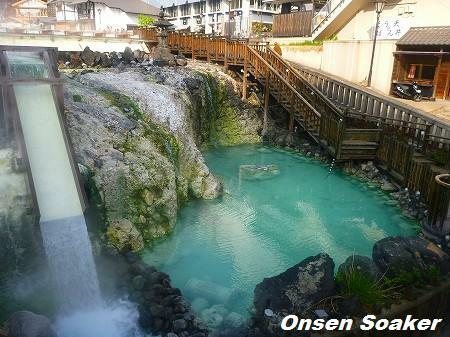 The Kusatsu onsen is said to be effective for skin disease, neuralgia, joint pain, chronic digestive disease, arteriosclerosis and many other symptoms. 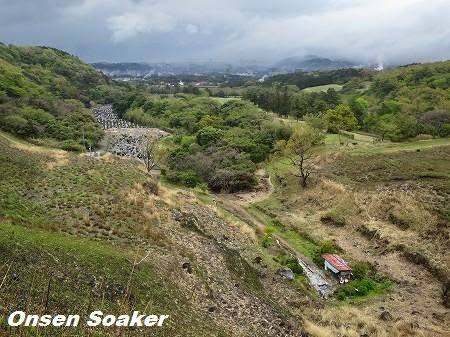 The hot spring of Yubatake was carried to Edo (present Tokyo) for the bathing of Yoshimune, the 8th Shogun of Edo period in 1726. Onsen cooled down a bit while flowing in these wooden gutter. Access to Kusatsu Onsen: There are some express train to Naganohara-Kusatsuguchi from Ueno, central Tokyo. 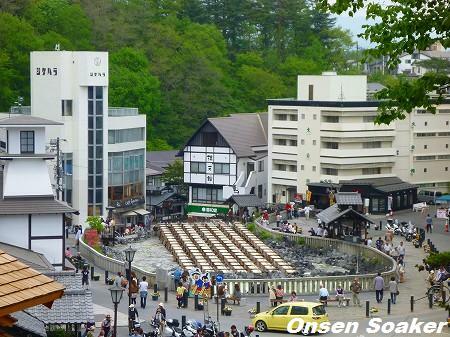 From Naganohara-Kusatsuguchi, about 20 minutes bus ride will take you to the Kusatsu bus terminal. It's a 5 minute walk to the Yubatake. Or you can take the direct bus from Shinjuke to Kusatsu bus terminal. 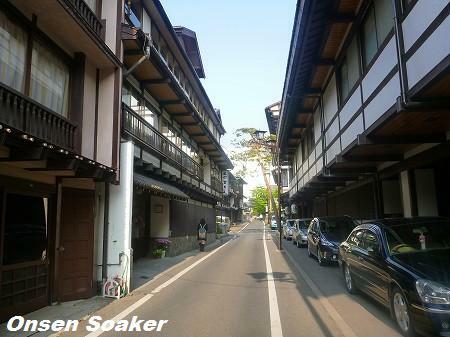 There are classical ryokans on both sides of the street near the Yubatake.